Tucked between the coastal mountains and the Pacific Ocean, June Van Wingerden can look out almost any window and see rows of greenhouses spilling over with gerbera daisies. She can’t wait to add more. You can’t have too many greenhouses in Carpinteria. The area, dubbed California’s “flower basket,”is known for supplying half the state’s cut flowers. 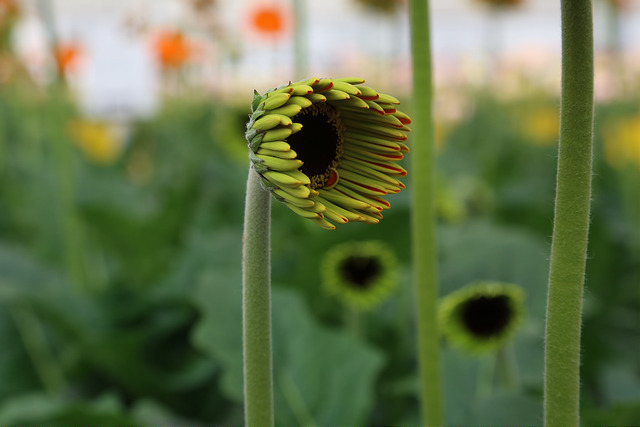 At one point, as many as 90 percent of gerbera daisies in the United States were germinated in one of the extended Van Wingerden family’s nurseries. 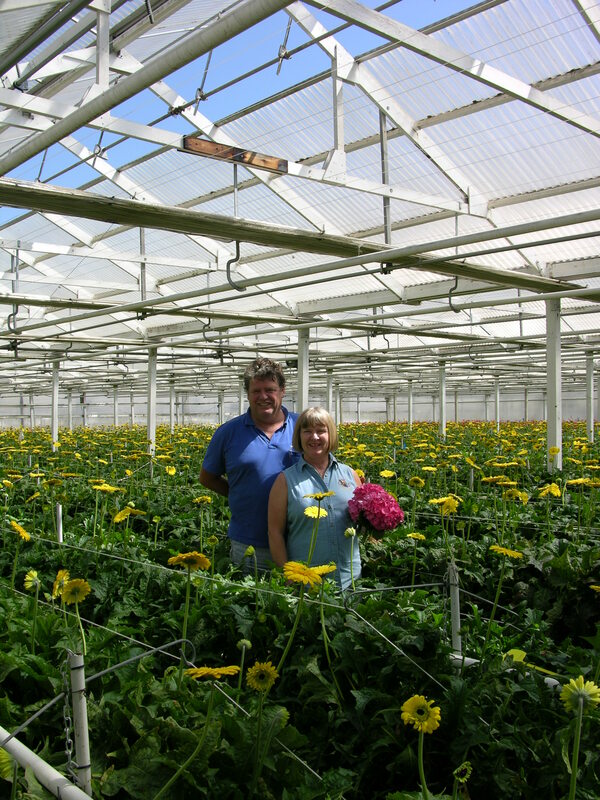 With around 40 acres of greenhouses, June and Rene Van Wingerden work hard to keep up their gerbera numbers while also expanding their other varieties. In addition to buying another 4-acre gerbera nursery with Rene’s brother, they’re looking forward to adding new high-end greenhouses that will help them grow oriental lilies more efficiently. 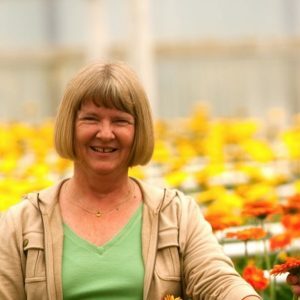 June VanWingerden is a Commissioner for District 3 and Vice Chair of the California Cut Flower Commission. Efficiency is a priority at Ocean Breeze. 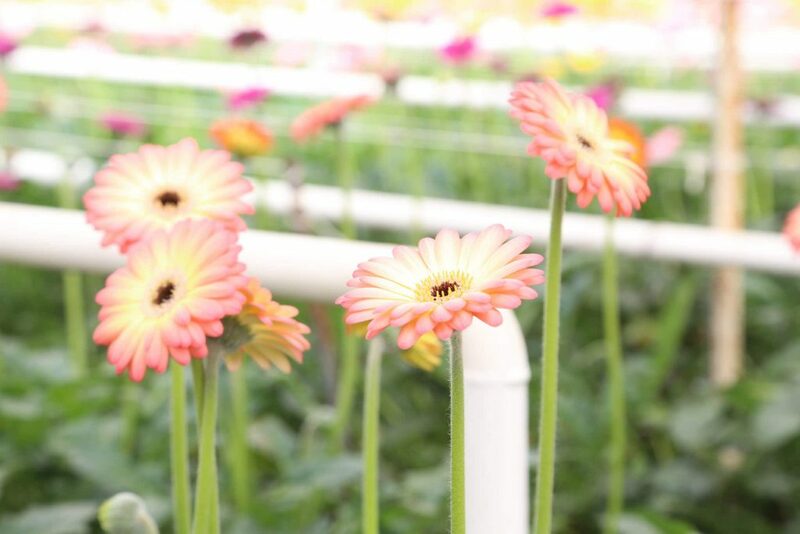 By growing all of their gerbera daisies hydroponically, they’re able to collect, sterilize and reuse their water three times. These types of efficient growing practices, combined with a healthy local groundwater supply and mild coastal weather, have helped shelter Carpinteria farmers from the effects of the drought. For the Van Wingerdens, growing flowers isn’t just a business. It’s a family tradition that stems from centuries growing fruits and vegetables in Holland. In the 1960s, Rene’s dad and uncles moved their families to Carpinteria where they started growing carnations, freesias and chrysanthemums. 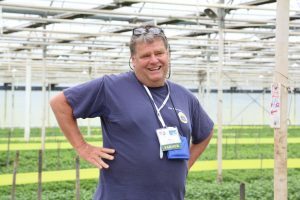 After working in his father’s business for several years, Rene started his own farm – named Ocean Breeze for the pleasant climate that makes the area ideal for flower farming. Learn more about Ocean Breeze Farms. June and Rene VanWingerden of Ocean Breeze Farms.